Volunteering at both B/CC Rescue Squad and SSVFD Auxiliaries, Marcia Roth has spent nearly 45 years committing herself to the betterment of the community. In 1982, Roth became a member of the SSVFD, eventually serving as President, Vice President, and Secretary. She is still actively volunteering at the local level, and has recently been promoted to Junior Vice President of the Maryland State Auxiliary (MSA). The MSA supports the Maryland State Firemen’s Association (MSFA) in multiple areas such as scholarship funding. “As Junior VP, I am in charge of membership and the Standard and Procedures committee. I additionally go through the bylaws of state ladies, looking at officer positions, and then making formal guidelines as to what their positions entail,” said Roth. The MSA holds two conferences a year—one during fall and the other during spring. At those conferences, they have meetings, discuss what all the committees have accomplished throughout the year, and hold raffles to raise funds for the MSFA. Roth is a member of the MSFA Cancer Support Committee. 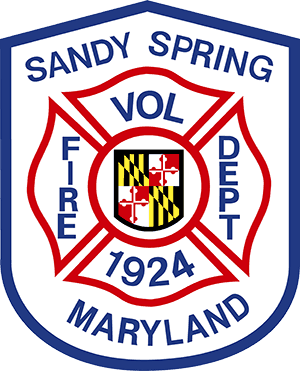 Reflecting on her lengthy tenure as a volunteer, Roth explained that she enjoys helping in any capacity she can, particularly aiding in open houses and birthday parties at the SSVFD.